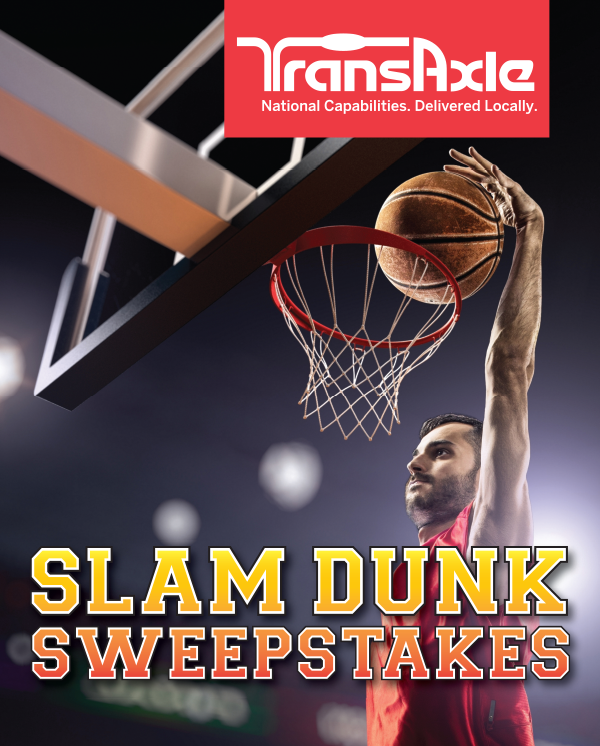 Grand Prize & Tickets Winner In TransAxle’s Slam Dunk Sweepstakes! Our Grand Prize and March Basketball Tickets Have Been Awarded! One lucky TransAxle customer has won a $1,000 Cabela’s gift card, and another customer has won March’s basketball tickets in our final drawing for the Slam Dunk Sweepstakes. Thanks to everyone who participated! Didn’t win this time? Be sure to enter our current Grand Slam Sweepstakes to win two tickets to any 2019 regular season college or major league baseball game of your choice,* and be entered for the grand prize of a $1,000 Cabela’s or Bass Pro Shops gift card! Visit your nearest TransAxle branch listed below or ask your sales representative for more details! Customer is responsible for all travel, taxes and other expenses of game attendance.